You haven't been cursed; it's likely a hoard of gnats. Gnats might not always bite or spread many diseases, but they can still be annoying when you find them in your house or around the yard. They are small, flying pests which love fungus, fruit, and moisture. Thankfully, people have developed many ways to combat gnats before they become a serious problem. Depending on your situation, any of these five products could be beneficial to help you battle the gnats and win. What Should You Look For In A Gnat Killer? What Are The Types Of Gnat Killers? How Much Does Gnat Killer Cost? Are Gnat Killers Safe To Use? Gnat killer is a broad term and can include a lot of different items. When looking for a product, there are a few criteria you should consider, including the composition and how long you would like it to last. First, what ingredients are you comfortable with? Some killers use pesticides or chemicals, which can be toxic to humans or pets but highly effective against gnats. Products that use pesticides can sometimes leave behind residue, which should be considered. They also should not be used around plants or animals. Others use entirely physical means to kill gnats, like electricity or sticky glue. These are beneficial because they are often non-toxic, but can also either be expensive or not long-lasting. Want to skip all this research and just hire a decent exterminator for your bug problems? Click here to check out our local exterminator search tool where we send you free quotes from trusted (and thoroughly vetted) exterminators in your local area. Takes about 30 seconds and it will likely save you time, money, and stress. Give it a look! Cheaper gnat killers are not long-lasting and are often disposable. In some cases, they are more likely to degrade over time. More expensive methods tend to last for longer periods of time and are usually higher quality. The ultimate goal is to find a quality which suits your needs. If your gnat problem is small, then a lower quality gnat killer could work for you. If you have a larger issue, than a more high quality and expensive product would be right for you. Similar to quality, some gnat killers can be reused while others are single-use and disposable. For example, and electronic bug zapper just needs to be cleaned out and plugged in to be used all year. Meanwhile, sticky stakes or sheets typically only have one use in them, and you will eventually need to buy more based on the size of your gnat problem. The key is to find one the works best for you depending on how often you have gnat trouble. Scientists have developed many different kinds of gnat killers. Below are the most common types, and some benefits of each one have. You have many options to choose from based on your needs and preferences, including which one makes you more comfortable to have in your home. Pesticides use strong artificial chemicals to combat gnats. The most common type of pesticide used against gnats are pyrethrins. Pyrethrins are short acting and leave behind little to no residue. Pyrethrins target the nervous systems of pests and eliminate them quickly. Most pesticides can be reused and are highly effective, although they do have negative side effects because of their toxicity. Sticky strips are inexpensive and can usually be hung around doors, windows, and potted plants to catch flying gnats. They use special adhesives which trap pests and usually have an attractive odor. Many are disposable and can't be reused, but also have very few risks associated with them. Electronic zappers are the most expensive option available, but also one of the most effective. They frequently use a special type of fluorescent light which is attractive to pests. Gnats and other flying pests will see the light and fly towards it. When they come too close, they are shocked by an electrical grid and die from electrocution. Zappers have some safety risks when touched, but others have protective coverings, so they can be kept around pets or children. Many gnat killers are relatively inexpensive, which is helpful since gnats are more of a nuisance than a threat. Below are some of the factors which can change the price. The main item which changes the price is what materials are used to make the gnat killer. Adhesives and pesticides are cheaper than electronic devices. If the product is disposable, it is also more likely to be cheaper because they often a lower quality than longer lasting methods. There are many different gnat killers on the market with varying levels of safety. On the bright side, all products sold in the United States pass stringent measures so regular people can use them. Still, some should be handled more carefully than others. If you choose a product that uses pesticides or chemicals, it is a greater safety risk than other kinds. These are effective, but should be kept away from children, pets, and places where humans might accidentally ingest them. 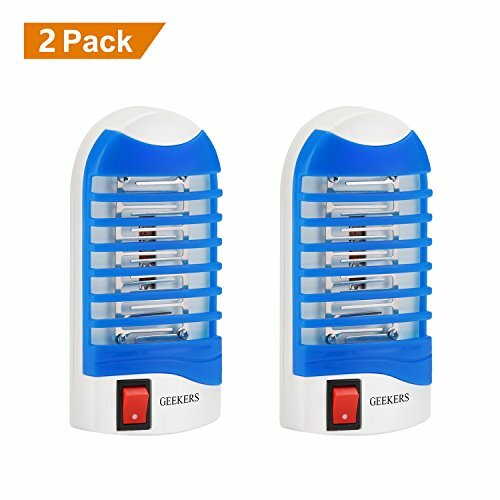 Electronic zappers that aren't pet or child friendly can cause shocks or even electrocution, but are also beneficial when combating gnats. Finally, sticky stakes and sheets are usually the safest to have around people. Unfortunately, they aren't always attractive to gnats and have lower efficiency than zappers or pesticides. 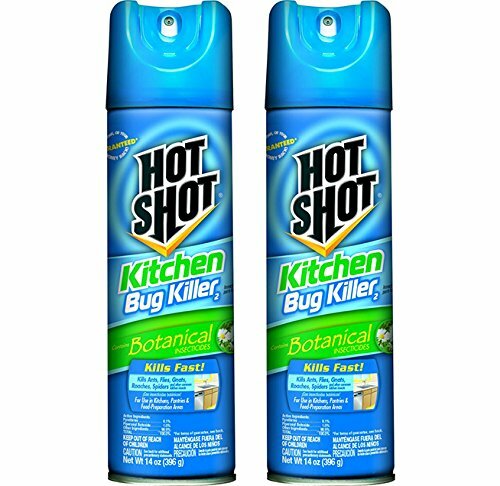 The Hot Shot Kitchen Bug Killer comes in an aerosol spray can for easy use. It uses more traditional chemicals and pesticides like botanical pyrethrins to kill all kinds of household pests, including gnats and flies that can plague kitchens because of fruit or houseplants. The product does not leave an unpleasant odor and can be used around sinks and wiped up easily. It leaves behind no toxic residue when cleaned with a paper towel. I recommend this product to people facing indoor infestations of gnats and who would like a more short term solution to their problems. The HETTAK Bug Zapper Light Bulb is a different type of gnat trap which is similar to a regular bug zapper. Gnats and other flying pests are attracted to the special wavelength of the the bulb and are killed through electrocution when they touch the grid. One of the features which families might like about this product is that it can be placed in a regular light socket far away from the reach of pets and children. The bulb uses very little energy and is made from environmentally friendly materials. The HETTAK Light Bulb is relatively inexpensive and can be used inside and outside in any rooms or patios where gnats are a problem. Safer Brand produces a slightly different version of gnat control. 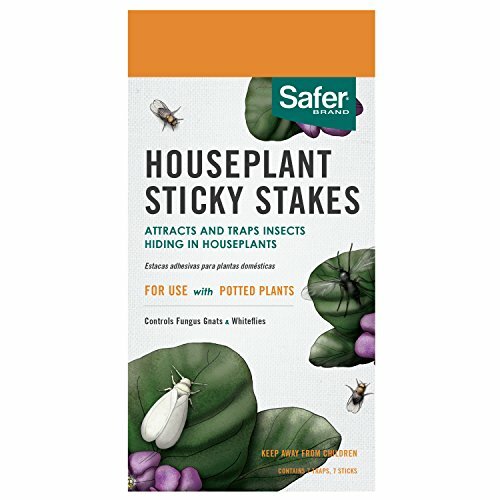 People with houseplants could consider using sticky stakes, which can be inserted in soil or placed near doors. Gnats find the sheets attractive because of their faint odor and will fly into the paper. Each sheet is covered with a special adhesive so gnats who touch it cannot escape. The product uses environmentally friendly materials which are non-toxic and disposable. I like Earth Juice GoGnats Insect Control because it is an extremely versatile way to stop gnats in their tracks. The product is a strong liquid pesticide that can be used as a spray or mixed with soil. It's a minimum risk pesticide which specializes in killing gnats. People can also pour it into hydroponics reservoirs. Earth Juice does not interact or lose its effects when mixed with water, and can be used as needed. The product also doesn't kill plants when used properly. I recommend this product to people facing hefty gnat infestations or to individuals who would like a gnat pesticide which can be used inside and outside. 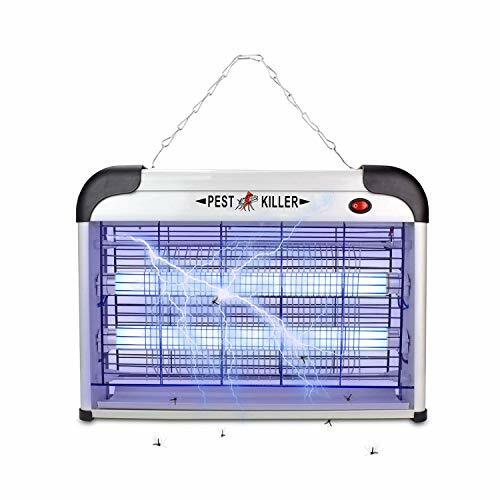 The Electric Bug Light Zapper is a high-tech option for gnat elimination. The zapper emits a 365 nm wavelength which is attractive to pests like gnats because it is within their natural vision spectrum. The product does not use any chemicals or pesticides and is safe to have around food. The Zapper kills gnats and other pests by electrocuting them on a grid. A mesh surrounds the electrical grid so the zapper is safe to use around children and pets. It can be plugged into interior outlets to work. I recommend this product to people who have large gnat problems and would like an environmentally friendly solution to traditional pesticides.